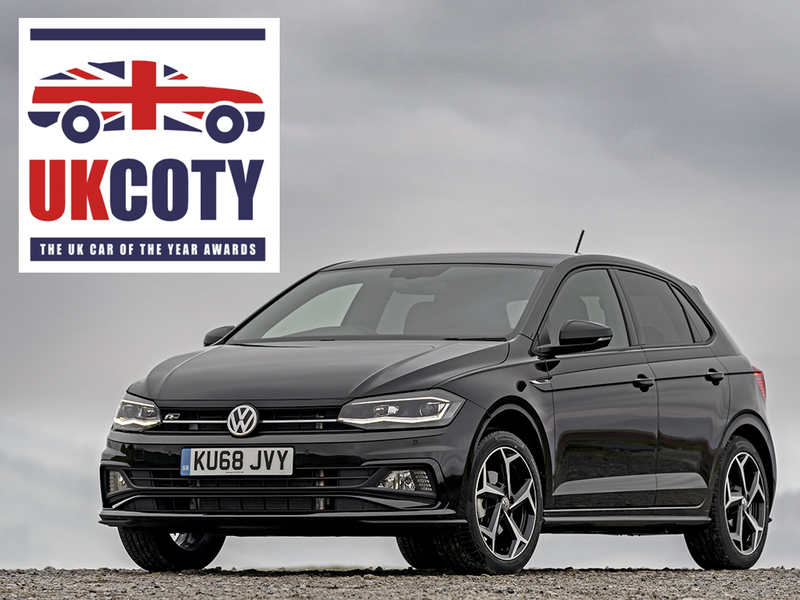 Bolstering its recent award-winning successes, the Volkswagen Polo has been named the Best Supermini 2019 by the UK Car of the Year Awards panel. The small Volkswagen was awarded the What Car? Best Small Car trophy in January, as well as the Supermini of the Year prize from Company Car Today magazine. It also collected the ‘Little Legend’ award from Carwow late last year. The UK Car of the Year Awards panel was established in 2014 and comprises of 29 respected journalists from across the motoring industry with the criteria under consideration covering topics from interior comfort to infotainment system quality. The Polo was praised for its premium feel and rewarding driving experience, as well as the value it offers as an overall package. 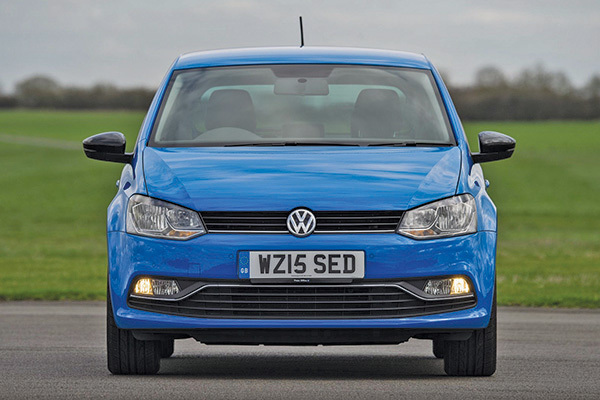 Lisa Hartley, Volkswagen UK Product Manager for the Polo, said: ‘The Polo is on a roll. Warmly received by customers, it is among the UK’s top ten best-sellers for 2019 alongside the Golf, and is on a winning streak with critics. For more information on the multi-award-winning Polo, including prices and finance options, visit the Volkswagen UK website. The day of 22 January was a re-awarding one for the current sixth-generation Polo, as it collected two industry awards. Volkswagen’s evergreen supermini collected the 2019 What Car? Small Car of the Year award at a ceremony at Grosvenor Hotel in London, while earlier in the day fleet and business magazine Company Car Today bestowed its Supermini of the Year prize on the Polo at its CCT100 Awards. Additionally, the T-Roc took the What Car? Best small SUV for more than £20,000 win, a year after being commended at the 2018 ceremony in the publication’s Safety Award. And continuing a run of success at four consecutive What Car? Awards, the Touran seven seater scooped 2019’s Best MPV for between £20,000-£30,000 prize. The Polo’s 2019 What Car? prize comes 24 years after it was triumphant in the same category, from where it went on to be named the overall 1995 What Car? Car of the Year. Safety has long been a Volkswagen trademark which the Polo has promoted to good effect, and the latest sixth-generation Polo has been named the ‘Safe Car of the Year’ at the inaugural FirstCar Awards. Held at the Royal Automobile Club in Pall Mall, London, the FirstCar prize comes after safety experts at Euro NCAP awarded the new Polo a five star rating, where it scored the highest values among its rivals. 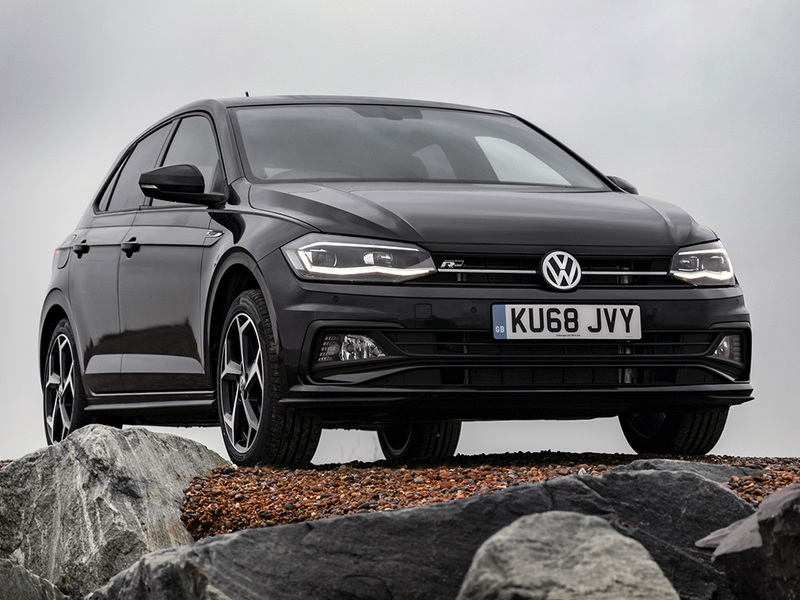 David Motton, Editor of FirstCar, a publication and website aimed at new drivers, said at the prestigious ceremony, ‘The Volkswagen Polo brings big-car safety standards to the supermini market. It has earned a five-star rating from the safety experts at Euro NCAP, achieving the highest score for any car in its class. ‘We’re delighted that so much safety equipment and driver assistance technologies are included as standard, including City Emergency Braking (Volkswagen’s autonomous emergency braking system) which is standard across all Polo models. Good all-round visibility also helps make the Polo an extremely safe choice for new drivers’, he continued. The latest and biggest Polo ever has also gained notable recognition from other corners, too. Last month at the New York International Auto Show, Volkswagen’s top-selling supermini was presented with the trophy for ‘World Urban Car’ as part of the World Car of the Year awards. The sixth-generation Polo focuses on increases in cabin and luggage space within larger external dimensions alongside the debut of new engines, a sharper design, new ‘big car’ assistance systems, the debut of a new series of infotainment systems and the global arrival of the second generation of Volkswagen’s Active Info Display. More than 1.4 million drivers in the UK have bought a Polo over the last 42 years, and the new car reflects a new level for assistance systems in the supermini segment. Technologies such as City Emergency Braking with new Pedestrian Monitoring function, Adaptive Cruise Control, and Blind Spot Detection significantly make the sixth-generation car the safest Polo ever. Priced from £13,860, the new Polo is on sale now. For more details, including brochures and pricing and Volkswagen’s online configurator, please visit www.volkswagen.co.uk. 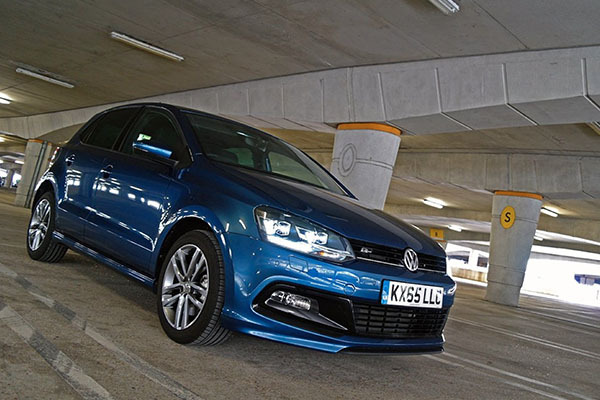 The Volkswagen Polo has been crowned the best supermini in the UK by motoring magazine Auto Express. It’s the second consecutive year the small Volkswagen has topped the small car category, the refreshed and efficient engine line-up helping it pick up the 2016 prize. Auto Express Editor-in-chief Steve Fowler said: ‘A 2015 facelift kept the Volkswagen Polo looking fresh and boosted its charm, and this year the German brand has added even more efficient engine options that see the supermini once again edge ahead of its rivals. ‘The Polo shares Volkswagen’s 1.0-litre three-cylinder petrol engine with the Up city car, but there’s also a more potent turbo version available. Even the lower-powered model is sufficient, thrumming along at motorway speeds with plenty of refinement.’ The four-cylinder turbocharged 1.2-litre TSI version was also mooted as one of the picks of the range. The new Polo R-Line which adds Volkswagen ‘R’-type styling flourishes was also praised by Fowler: ‘Volkswagen released a sporty new R-Line model this year to address one of the Polo’s biggest downfalls, which ensured the supermini can no longer be accused of looking a little safe or lacking style. The R-Line bodykit and bigger wheels add some extra interest to the car’s solid surfaces and sharp creases. ‘It looks like a smaller Golf – which is no bad thing – and that’s reinforced from the moment you shut the door with a solid thunk. The cabin is very well built and feels genuinely upmarket. There’s a wider range of petrol and diesel engines available, too, with a larger, more powerful 1.4 TSI. Not only is this hotter, but it also features clever tech like cylinder deactivation to improve efficiency when cruising. The new petrol-powered Polo BlueMotion 1.0 TSI was also noted for its economy and low emissions: ‘If you’re after an eco champion, VW’s high-efficiency BlueMotion technology has been applied to the already frugal 1.0 TSI, with impressive claimed fuel economy of 68.9mpg and 94g/km CO2 emissions,’ said Fowler. We’ll admit to being surprised that the fifth-generation is still winning prizes, seven years into its production run. A new model is mooted for 2017/2018 and will be based on the smallest version of the new Volkswagen ‘MQB’ modular platform architecture. The current Polo range is priced from £11,525 OTR. For more details, visit the Volkswagen UK website. In a surprise reveal, the latest Volkswagen Polo has been awarded the Supermini of the Year title in the 2015 Auto Express New Car Awards. At a ceremony in London last night, the small VW beat off competition from the new Mazda 2 and its in-house rival, the Skoda Fabia to scoop the coveted industry prize. The magazine stated that the closely-fought category was a ‘tough decision’. The Polo won out thanks to ‘its upmarket quality, grown-up driving manners and range of efficient yet responsive engines,’ according to the UK title. The Polo gained cosmetic exterior changes and more thorough interior and mechanical upgrades last summer. The magazine’s top choice of its top supermini? The £14,410 1.2 TSI 90 SE five-door due to its performance and low running costs. Visit the Auto Express website to find out what other reasons made the small Volkswagen supermini champion. PoloDriver.com is running the exact same 1.2 TSI model as part of its long-term fleet. Catch up with owner Tom Goodlad’s running reports here. 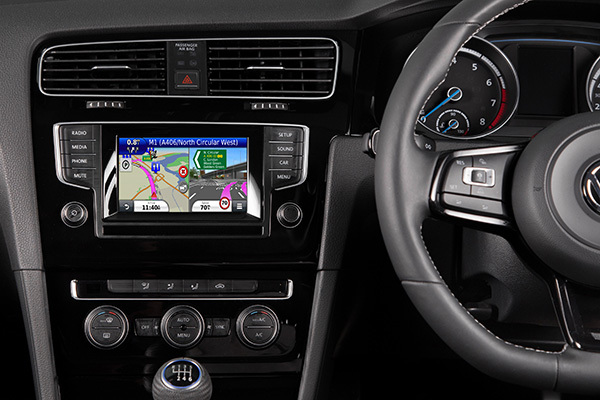 In associated news, Volkswagen UK has announced a factory-approved accessory touchscreen navigation option from Kenwood Electronics. The GVN-MIB1 navigation upgrade is suitable for Mk VII Golf, 2014-on Polo and 2015 Passat models and is an easily-installed Plug & Play upgrade. The system costs £599 including installation at a VW retailer and uses Garmin maps.